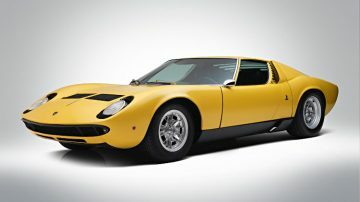 Highlights of the Bonhams Paris 2018 sale include four generations of high performance Lamborghinis such as the 400 GT, Miura, Countach and Diablo VT.
Bonhams annual Grandes Marques du Monde au Grand Palais classic car sale in Paris during Rétromobile week 2018 will include cars from the brass era to the present. The lead car is a 1968 Lamborghini Miura P400 S Coupé (estimate €1,200,000-1,400,000), which is backed up by three further high performance Lamborghinis: a 1966 Lamborghini 400 GT 2+2 Coupé, a 1974 Lamborghini Countach LP400 Coupé ‘Periscopo’ and a 1996 Lamborghini Diablo VT. Further highlights include a 1957 Mercedes-Benz 300 SL Roadster that was converted to SLS Aluminum Competition Specification, an ex-Earl Howe / Pierre Levegh 1935 Bugatti Type 57 3.3 Litre Tourist Trophy Torpedo and a 1904 Fiat Type 24/32 Rear Entrance Tonneau. 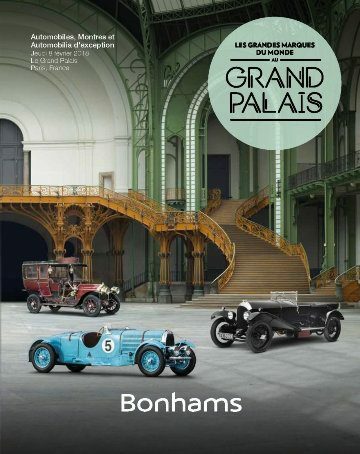 Bonhams will hold its seventh annual Grandes Marques du Monde sale in the Grand Palais in Paris on 8 February 2018 during the annual Rétromobile Week. In addition to a fine collection of more than 130 cars in all price classes up to €1.5 million, the sale will also include almost 200 automobilia lots. In 2017, Bonhams’ top result in Paris was €2,012,500 for a 1935 Aston Martin Ulster Sports Two Seater. Four generations of legendary Italian marque, Lamborghini, will be offered at Bonhams Les Grandes Marques du Monde au Grand Palais Sale 2018. The story of one of the most widely-recognized and sought-after supercar marques is told through four models offered: the 400 GT, the Miura, the Countach, and finally the Diablo VT. It is the stuff of legend that Ferrari-obsessive Ferruccio Lamborghini only turned his hand to creating his own automobiles after receiving short shrift at Maranello; he left in a rage and vowed to build a better machine. The 350GT was upgraded to become the 400GT to challenge Ferrari’s larger models – this 1966 Lamborghini 400 GT 2+2 Coupé (estimate €520,000-580,000) is one of the rarest and earliest of Ferruccio’s creations, and retains its matching numbers. It is one of only 247 built and was at a time in the possession of the Dutch Lamborghini Club president. The next chapter of the Lamborghini story came in the form of one of the era-defining cars built, considered by many to be the first genuine supercar – the 1968 Lamborghini Miura P400 S Coupé (estimate €1,200,000-1,400,000). With only 4 owners from new and a genuine 43,000 km on the odometer, this is an excellently maintained example, which retains a charming original patina. The original chassis 3474 was crashed early on and was deemed irreparable. As was often done at the time, a new car was produced using the original chassis and engine numbers to save on tax. The car was for around 12 years part of the Schlumpf collection. The Miura was always going to be a tough act to follow, but the outlandish and almost space-age 1974 Lamborghini Countach LP400 Coupé ‘Periscopo’ (estimate €600,000-800,000) certainly holds its own, and remains a byword for extravagant and glamorous motoring to this day. This example is in its original ‘periscopo’ form, and is one of only 157 built. A rare example of a ground-breaking design that is surely one of the most iconic of the 20th century. The final installation in the Lamborghini story offered at Grand Palais is the 1996 Lamborghini Diablo VT (estimate €215,000-255,000). Upon its release, it was the fastest, most advanced and most expensive Lamborghini ever built. Outperforming even the legendary Ferrari F40, the Diablo is capable of more than 200 mph thanks to its extraordinary V12 lurking beneath its lightweight carbon fibre body. This example has been used sparingly, with only 25,000 km recorded. In recent years, Lamborghini Miura prices have ranged from just over a million dollar to just shy of three million while only a handful of Lamborghini Countach LP400 cars have managed to sell for over a million. After seven Mercedes Benz 300 SL cars on offer at Scottsdale 2018, owners (and especially sellers) may be relieved that only two will be on offer during the Rétromobile week in Paris 2018. 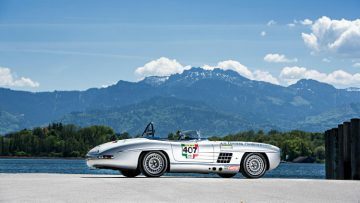 Artcurial has a Gullwing but the 1957 Mercedes-Benz 300 SL Roadster to SLS Aluminium Competition Specification is a unique car with interesting history. The car is a re-creation of Paul O’Shea’s original aluminum bodied car. It was completed in 1997 for Georg Distler on the chassis of a 1957 roadster. Soon after, Distler drove the car to 11th overall and a class victory in the Carrera Panamericana in 1997. For more on this car see 2017 Bonhams Chantilly Sale Mercedes 300 SLS Competition Announcement. It failed to sell and the estimate has almost half since then. Although Bugatti Type 57 cars in various guises are rare, at least four will be on offer during the Rétromobile Week 2018 – three at Artcurial alone. The 1935 Bugatti Type 57 3.3 Litre Tourist Trophy Torpedo is an ex-earl Howe and Pierre Levegh car. As with many racing Bugattis, this car had a hard life but still maintained most of its original chassis structure, its original engine crankcase, its original gear-box and original axles. Earl Howe raced the car to third in the Ultser TT race in 1935 before selling it on. It participated in the 1936 Spa 24 Hours race and was probably entered for Le Mans too but the race was cancelled. 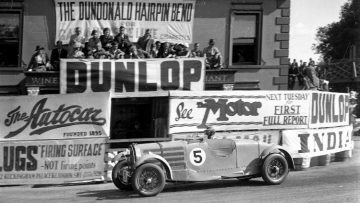 It subsequently belonged and was raced by Pierre Boullin “Levegh”. The Bugatti eventually ended up in Australia where it would remain for nearly eight decades. It was frequently raced and is often referred to as the most-famous Bugatti in the Southern Hemisphere. Restoration of the car to return it to original 1935 specification was completed in 2010 and used almost exclusively contemporary parts. The 1904 Fiat Type 24/32 Rear Entrance Tonneau has an ownership history since new. The car was restored in the 1990s and is a regular at the London to Brighton Veteran Car Run. Several further brass era cars will be available in the sale, as well as at Artcurial, at far lower prices. The 1973 Porsche 911 Carrera RS Touring was originally owned by his Royal Highness Prince Sadruddin Aga Khan. He habitually changed Porsches at least annually before they had run 5,000 km. The car was restored in 2017 by Porsche Classic in Geneva. 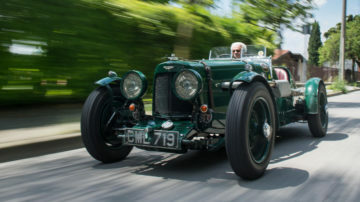 The 1926 Bentley 3-Litre ‘Red Label’ Speed Model Tourer was 2nd in class at the prestigious Pebble Beach Concours d’Elegance in 2015 after around £500,000 was spent on its restoration. The Bentley has a rare aluminum body by Vanden Plas. The 1938 Horch 853A Sport Cabriolet was professionally restored in 2017 and looks the part but the highly original unrestored Horch 853 at Artcurial may be the more interesting car. The 1970 Ferrari 365 GTB/4 Daytona Spyder Conversion by Straman is the second such car on offer at auction within a month – Barrett Jackson also has one at Scottsdale 2018. The Berlinetta was converted in 1990 and it may have added to the look of the car but not necessarily to the value. Daytona Berlinettas sell usually for around $6-700,000 with exceptional examples fetching over a million and poor ones less than half a million. One of the 123 Daytona Spiders produced by Ferrari itself is more likely to sell for $2 to $3 million.